Aberdwylan Holiday Park in Carmarthenshire sleeps between 4 and 6 people, with the accommodation being houses and lodges. Set in a peaceful wooded valley the banks and meadows of the park are edged by the meandering River Cych. The surrounding hills provide the natural seclusion which makes this a truly tranquil setting. The luxury lodges have contemporary interiors and modern furnishings, ideal for a romantic getaway or a break away from the hustle and bustle of everyday life. Whatever your idea of a relaxing break is, from taking country walks, fishing virtually on your doorstep, visiting local beaches or touring the countryside by car, Aberdwylan has it all. If you want to find out what other people have said about Aberdwylan Holiday Park, read the reviews on Aberdwylan Holiday Park for more information. And, for those last minute bargains, have a look at some of the special offers available at Aberdwylan Holiday Park. "Luxury lodge with one double four poster, ensuite shower and one twin. Bath with overhead shower. Widescreen TV. Dishwasher, fridge/freezer and washer/dryer." 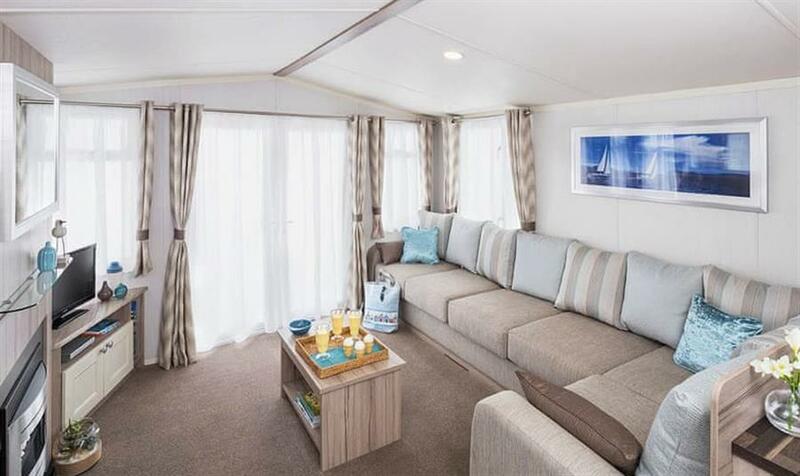 Top of the range 12ft-wide caravan with one double and one twin. "Luxury lodge in a riverside setting. One double four poster, ensuite shower and one twin. Bath with overhead shower. Widescreen TV. Dishwasher, fridge/freezer and washer/dryer. Outdoor hot tub." Top of the range 12ft-wide caravan with one double and two twin. "Luxury house. Ground Floor: Lounge/kitchen/diner. Additional WC. Oak flooring throughout. Patio with garden furniture. Second Floor: Two double bedrooms with four poster beds and two singles. Bath and shower. Widescreen TV. Dishwasher, fridge/freezer and washer/dryer." Find out about Aberdwylan Holiday Park, including prices and availability. There aren't currently any special offers at Aberdwylan Holiday Park however, the special offers shown below are all on parks within 30 miles of Aberdwylan Holiday Park - so you may find these useful. There are 30 holiday parks within 10 miles of Aberdwylan Holiday Park. The Smithy in Carew, Pembrokeshire, and sleeps 10 people. 25 miles. Bwythyn Glas Y Dorlan in Llandeilo, Dyfed. 25 miles. Fern Cottage in Whitland, Dyfed, and sleeps 6 people. 17 miles. Gwardolau Cottage in Rhayader, Powys, and sleeps 6 people. 47 miles. Maesoland Farm House in Laugharne, Dyfed, and sleeps 8 people. 15 miles. Fron Rhydwen in Narberth, Pembrokeshire, and sleeps 6 people. 13 miles. Llwyn Celyn in Newport, Dyfed. 13 miles. Waters Edge in Dale, Pembrokeshire, and sleeps 6 people. 34 miles. Coedfryn in Llandeilo, Dyfed, and sleeps 8 people. 28 miles. Bwthyn Y Mynach in Carmarthen, Dyfed, and sleeps 8 people. 18 miles. Tirmyndd Farm Cottage in Swansea, and sleeps 9 people. 34 miles. Pottre Farmhouse in New Quay, Ceredigion, and sleeps 8 people. 14 miles. Murton Farm Cottage in Murton, West Glamorgan, and sleeps 6 people. 37 miles. Arosfa Emlyn in Newcastle Emlyn, Carmarthenshire. 4 miles. The Coach House in Lampeter, Wales, and sleeps 20 people. 23 miles. Llwyncadfor Farmhouse in Newcastle Emlyn, Wales, and sleeps 14 people. 6 miles. The Old Lighthouse in Haverfordwest, Pembrokeshire, and sleeps 10 people. 36 miles. Ysgubor Wen in Llanelli, Dyfed, and sleeps 10 people. 26 miles. 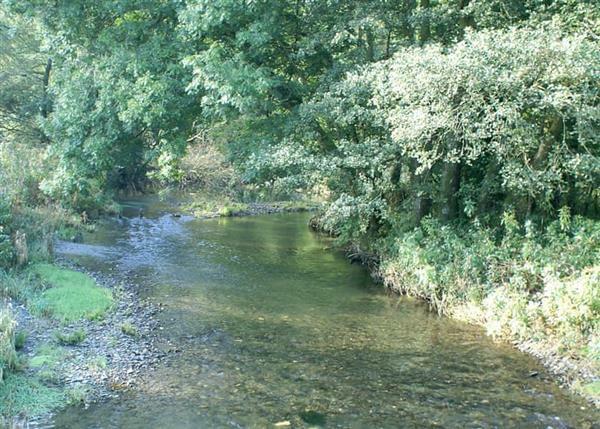 Llwyncrwn Farm Cottages in Llandysul, Carmarthenshire, and sleeps 2) people. 11 miles. Dan-y-Glo in Swansea, West Glamorgan, and sleeps 10 people. 35 miles. Tynrhyd Retreat in Aberystwyth, Ceredigion, and sleeps 28 people. 37 miles. Maes Rheidol in Aberystwyth, Dyfed, and sleeps 7 people. 36 miles. Sheepwalks Cottage in Tenby, Pembrokeshire, and sleeps 8 people. 26 miles. Kingfisher at Maesydderwen Holiday Cottages in Llandeilo, Brecon Beacons National Park, and sleeps 10 people. 27 miles. Pendine Manor in Laugharne, Carmarthenshire, and sleeps 20 people. 19 miles. The Dingle in Freshwater East, Pembrokeshire, and sleeps 12 people. 29 miles. Trecift in Cardigan, Pembrokeshire, and sleeps 10 people. 6 miles. Devil's Bridge Retreat in Aberystwyth, Cardiganshire, and sleeps 28 people. 37 miles. The Gower Beach Loft in Three Cliffs Bay, Gower Peninsula, and sleeps 10 people. 36 miles.